Clovis Rotary member Danny Armenta told me the Rotary’s annual Crab Feed was a must-attend social event and he was right. 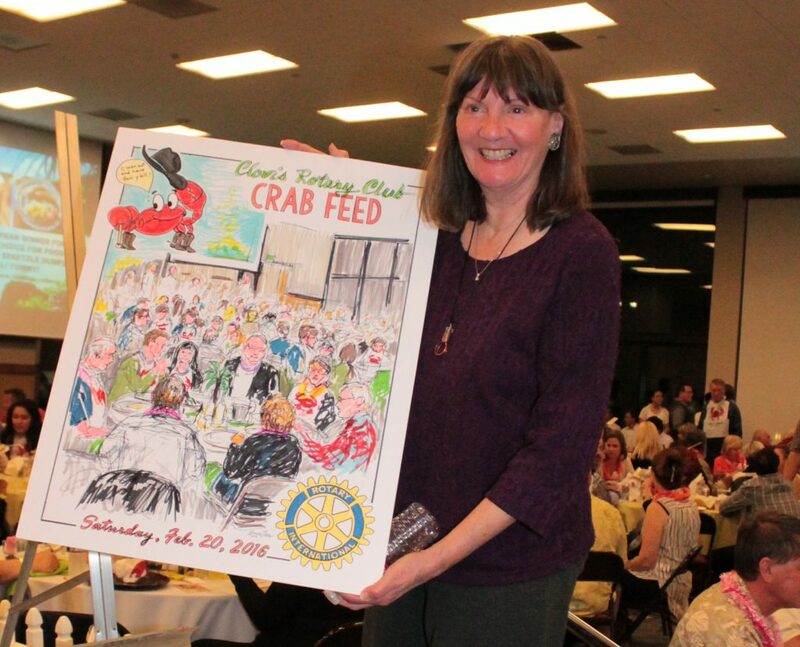 This year’s Clovis Rotary Crab Feed—my first crab feed—held on Feb. 20, certainly didn’t disappoint. Of the multitude of events I’ve covered over the last year at the Clovis Veterans Memorial District, none have been this elaborate. The entire district—not just one ballroom—was dedicated to the Clovis Rotary’s sole annual fundraiser. Two rooms were filled with silent and live auction items for attendees to oh and awe at and, if they felt so inclined, to bid on, while the spacious Liberty Ballroom was wall to wall with tables of guests. 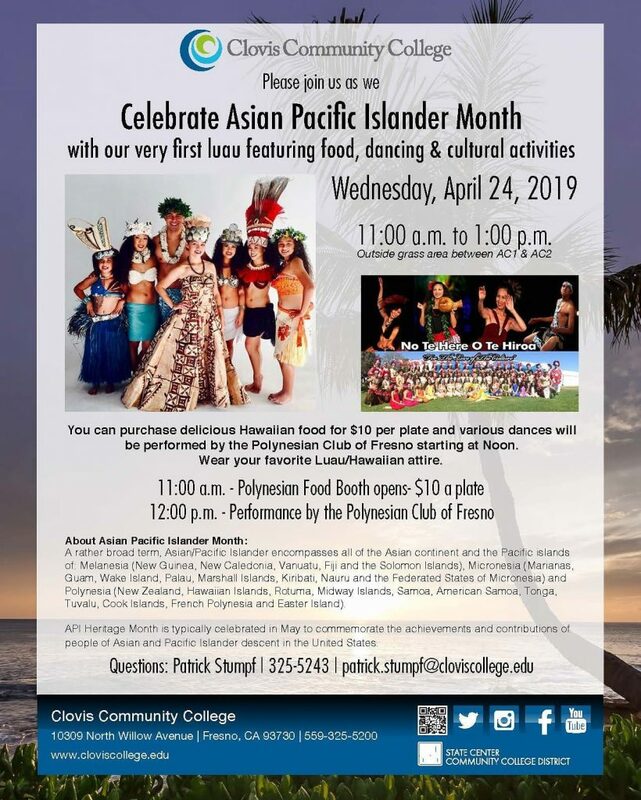 Even the lobby was the Clovis Rotary’s for the evening, as a green screen and large lens camera invited you to a photo booth to take some fun pictures showcasing the Hawaiian Luau theme. Entering the Liberty Ballroom, I had to waft through the crowd to get to my table. There, I sat with Clovis Roundup advertising executive Roger Wright and his friendly wife Robin, and our photographer extraordinaire Ron Sundquist. After spending some time perusing the auction items with Robin and Roger, we returned to our seats, ready to indulge in the crab feast. 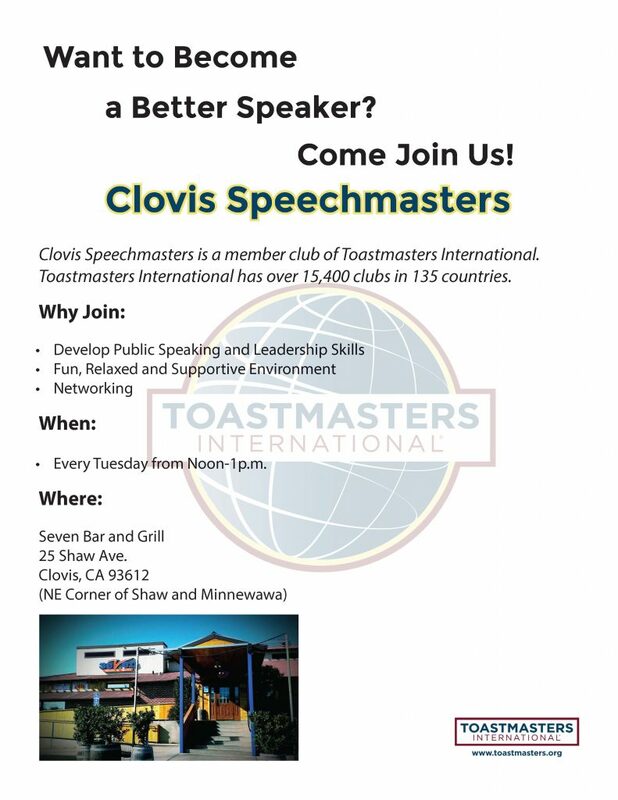 We were then joined by Clovis Unified School Board member Betsy Sandoval and a few of her friends. They came prepared with a shellfish cracking device and little plastic forks to pull out those pesky little pieces of meat. Me, I was just there to wing it. I’ll know better and bring along some tools next time. After a brief Clovis Rotary Crab Feed welcome from Lorenzo Rios, the coordinator of the soiree, the crab feed commenced as student volunteers from the local Clovis high schools brought out bucket loads—and that’s not an exaggeration, there were actual gallon buckets—of crab. Everyone at the table quickly tossed aside any salad, bread or pasta they had left from the appetizer warm up and dug in to the crab bucket. 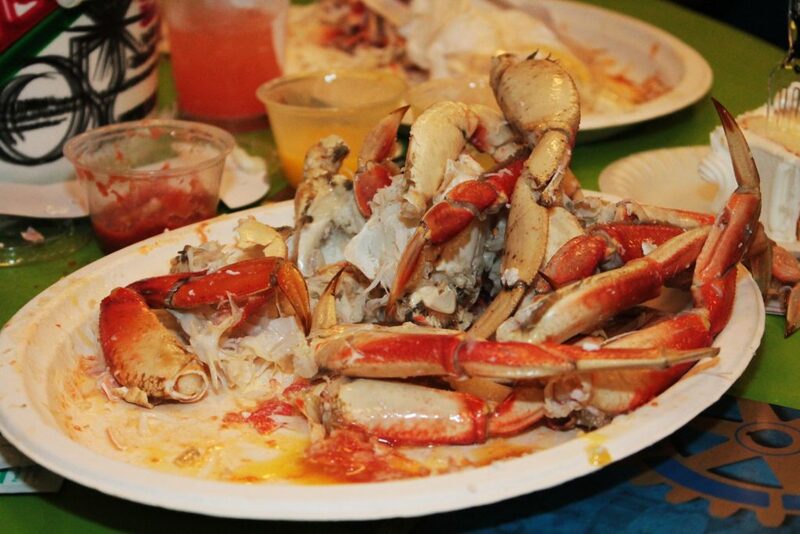 It was messy, it was fun and it was oh so good: a crab lover’s delight! I felt like I was making up for lost time—all those years I spent as a kid hating seafood were being made up at this crab feed. Shells were flying, butter was everywhere, and we all looked silly wearing our Clovis Rotary Crab Feed bibs—an essential accessory for this grub fest. It was just as fun as Armenta said it would be, but more than that we were all feasting for a good cause. With the crab feed being the only Clovis Rotary fundraiser, the money raised goes to support the many organizations Clovis Rotary contributes to for the year—the Clovis Youth Enjoy Leadership Experience at Camp Royal, Interact Clubs at Clovis High, Clovis East, Clovis North, Buchanan and Gateway, Scholarships for Clovis students, the Augustino Memorial Spelling Bee, the Clovis Boys and Girls Club, Rotary Storyland and Playland, Kases for Kids, the Renaissance Scholars program at Fresno State, Clovis Salvation Army, Christmas stockings for seniors, the Clovis Botanical Garden, the Marjaree Mason Center and much more. It takes some time for Clovis Rotary to tally up all the funds they raise from ticket sales and the silent and live auctions, but in 2015 they raised $61,000, which went toward all these great programs and organizations. From the looks of it, this year’s crab feed was also successful. To those who haven’t been, I would definitely encourage you to consider attending next year’s crab feed—it’s great food, great fun and a great fundraiser to support not only the Clovis Rotary but also the entire community that Rotary serves.